By buying this product you can collect up to 47 loyalty points. 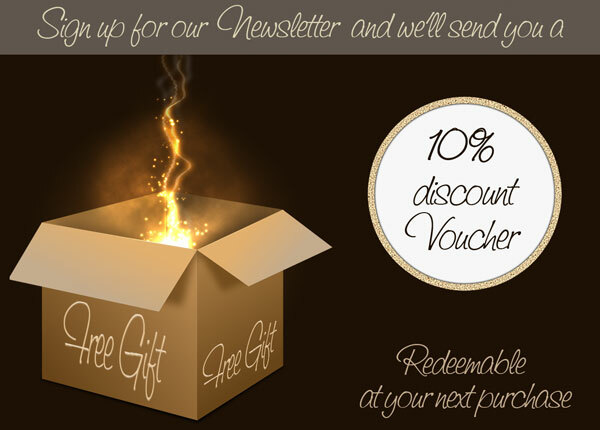 Your cart will total 47 points that can be converted into a voucher of $0.47. This pack includes 1x large, 2x medium and 2x small (1 twin pack) honeywraps. Honeywraps will keep food fresh without toxins leaching in. Wrap lunches, snacks, platters, fruits, leftovers in the fridge and more. 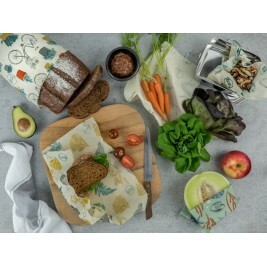 These gorgeous looking food wraps are handmade in New Zealand by three mums. The honeywraps are made with 100% organic cotton blended with beeswax, tree resin and jojoba oil. All three of these ingredients have antibacterial properties and together they makes the cotton cloth mouldable so you can shape it around a variety of foods and dishes. The best part – it’s an brilliant alternative to plastic wrap. Organic cotton is made without pesticides therefore it is better for the environment, the farmers and eventually our own health as our skin is not exposed to the harmful chemicals used in the manufacturing process of traditional cotton. Oh and did you know that the fabric prints are designed by NZ artists? 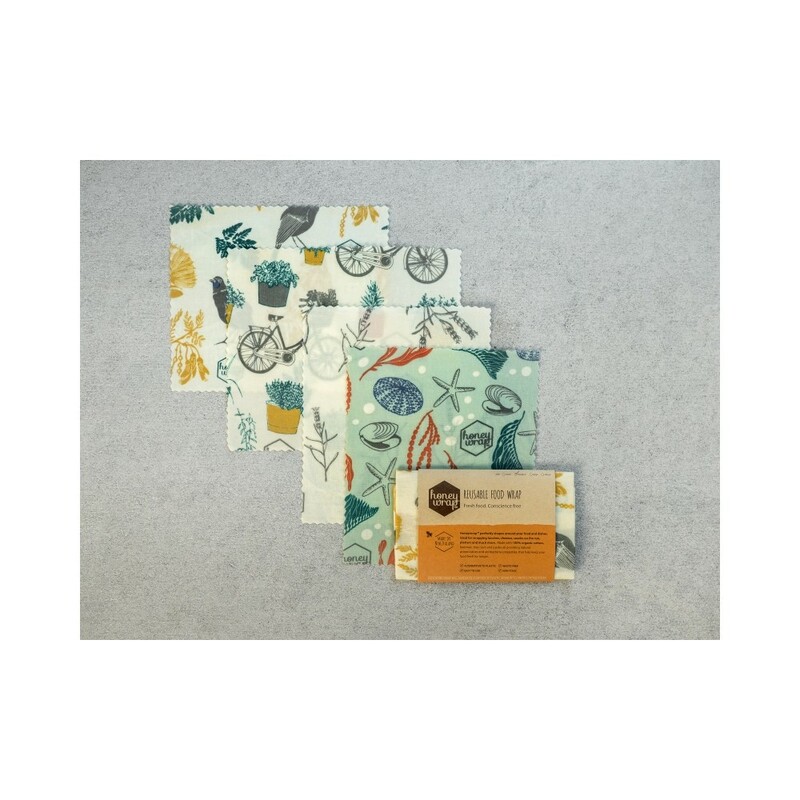 Each pack includes a piece of wildflower seeded paper. Put the seeded paper in a pot and let the flowers grow to attract the bees. Should have purchased these sooner. Great to have and easy to use. Loves these organic cotton honey wraps. 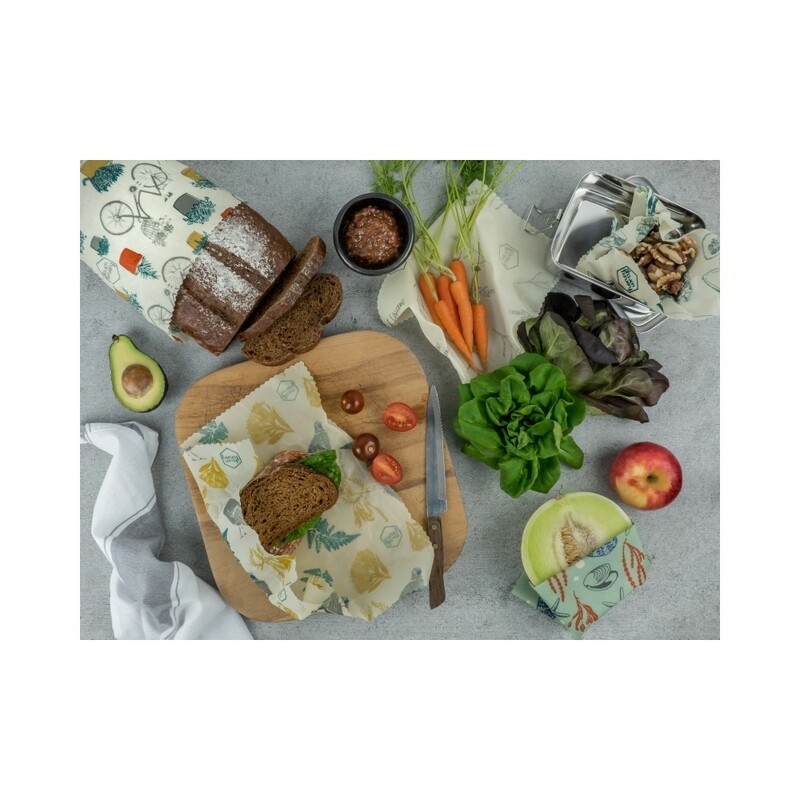 Funky designs and so much better than using clingfilm for sandwiches. These wraps are so beautiful. They work really well, look lovely and are not made from plastic. Hallelujah! Excellent product, does what it says and fun designs, will purchase again.